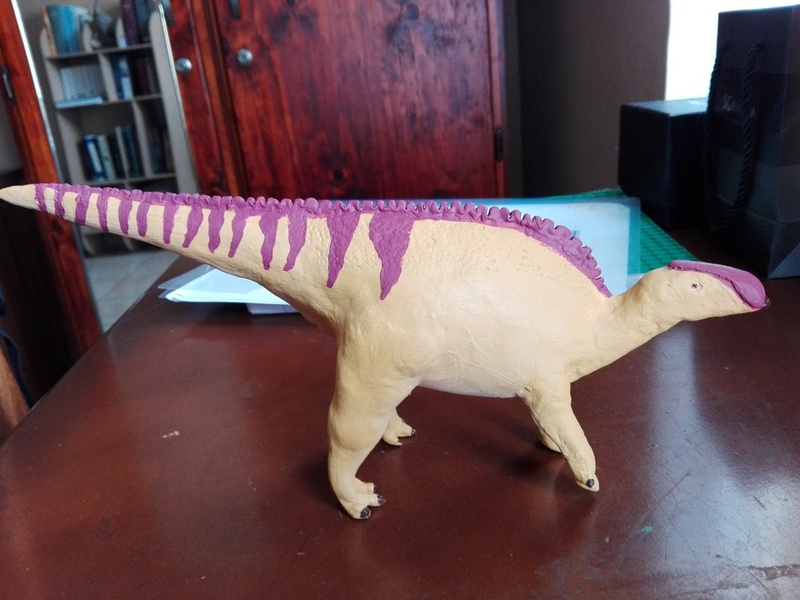 I found some blocks of modeling clay (the cheap one kids play with) here in my house, probably leftovers of some arts project of my brother, and decided to have a little fun. 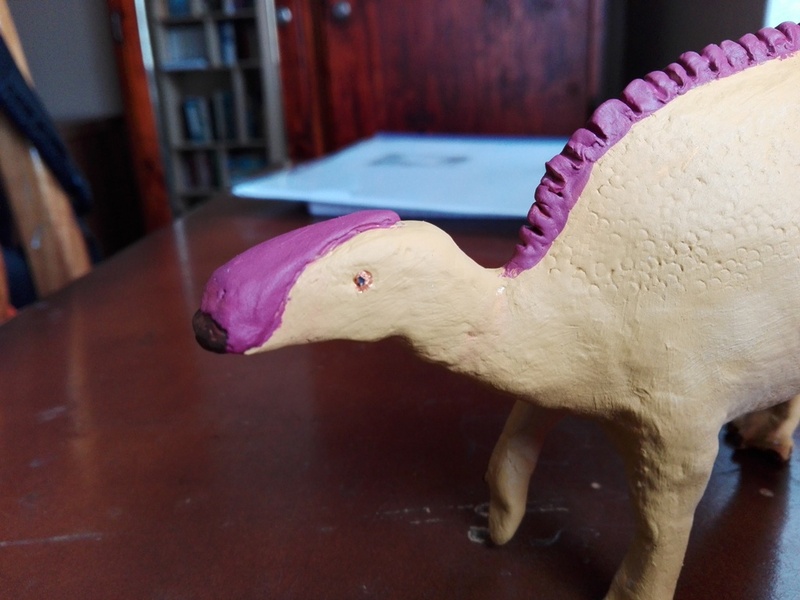 When I was a kid I used to make a lot of dinosaurs of clay, but they were just parts stuck together to make a generic dinosaur, but I had fun with it. Sorry for my hairy leg Didn't noticed it was in the picture until I uploaded to Photobucket and if cropped the resolution get horrible. So that's what it is so far, working with that kind of clay is hard because it's very soft but iI'm gettting there, there are still a lot of details and corrections to be made ( in myt head at least, I din't know if I can pull it off), I want to try to make some texture to the skin but I don't know how, so any tip is welcomed! Is it all made of that clay, or did you use some reinforcements or filling for the body and leg? 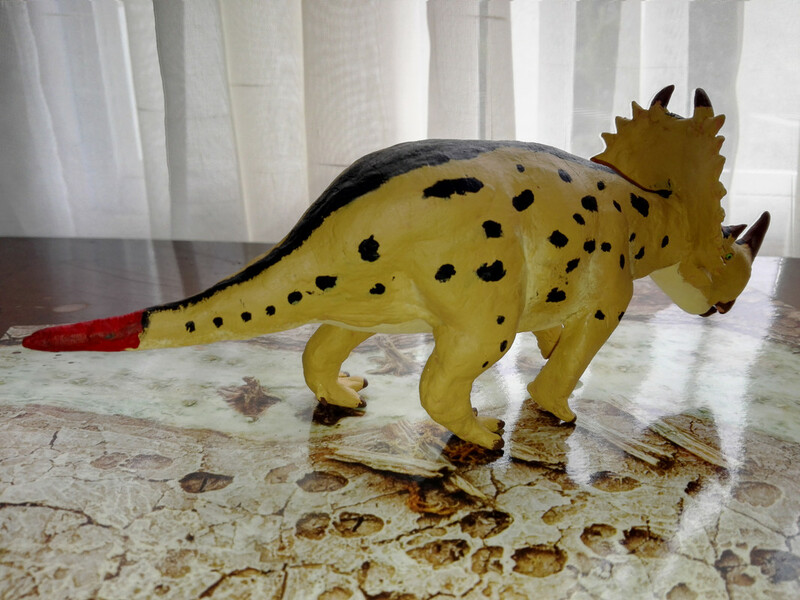 It looks very promising especially since you have not done a dinosaur model for a while! Here is how it looks, I still have to work on the hands and feet, I'm having a hard time with those! And the eyes and other details are problably going to be made today in the afternoon, or tomorrow but I hope for today. 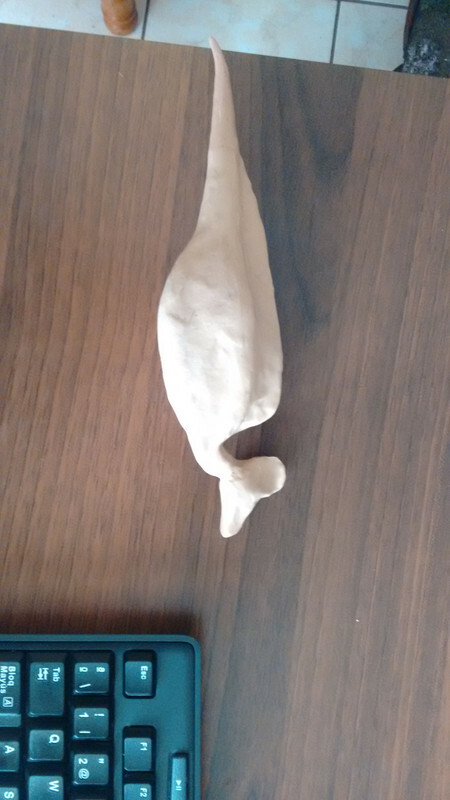 This is how it looks "standing" but it's hands and feet bend because of the material, I wonder if there's a way to make it harder. 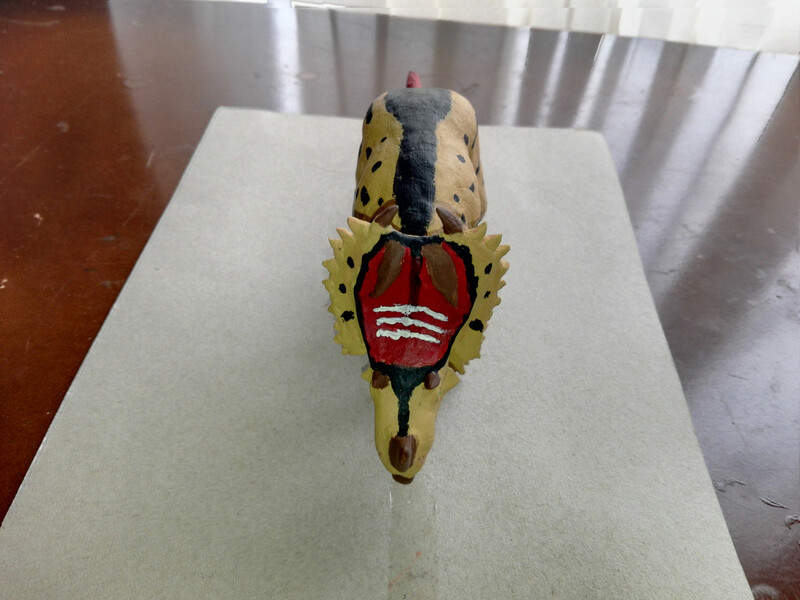 here, it's laying on my desk. Are the hindlimbs still too big? I think I need to lower the tail a bit too maybe. 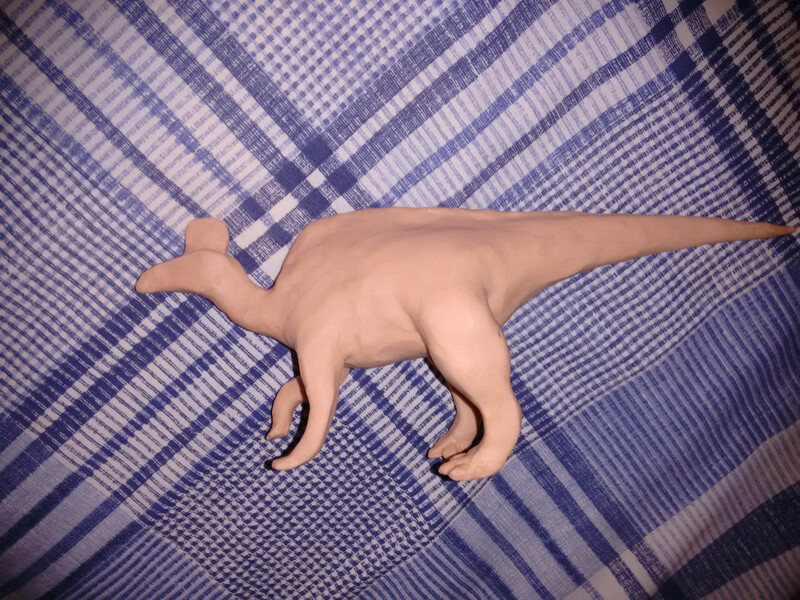 Thanks for your suggestions spinosaurus1, I'm going to work on it as soon as I can, right now I'm withe a bad cold and my head is killing me and thanks for the skeletal reference! 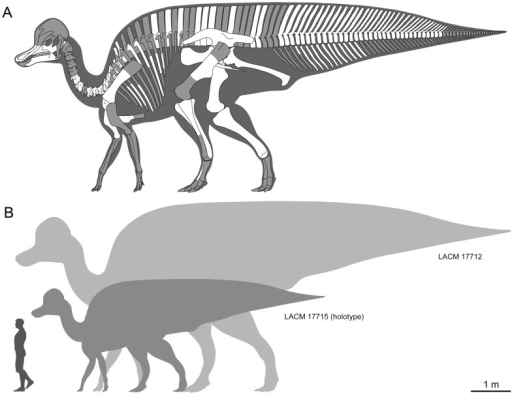 That skeletal is of Magnapaulia, not Corythosaurus. 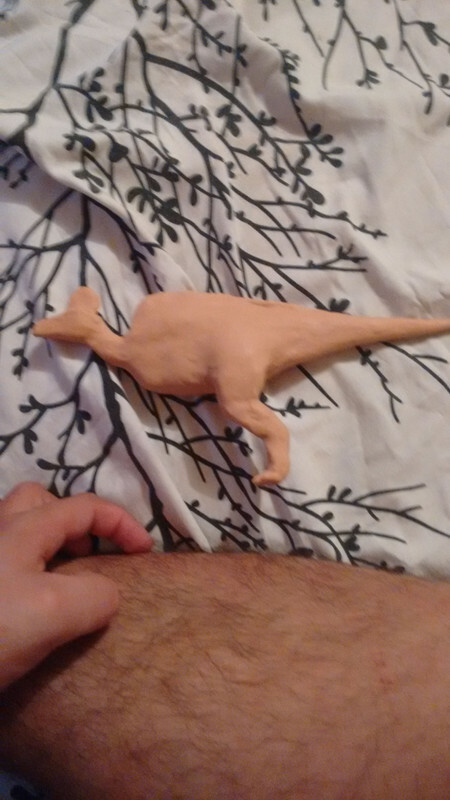 So i made a little progress, I tried to make the legs more defined, I dont know if I made it, in person they look more defined but in th pics I think is hard to notice it. 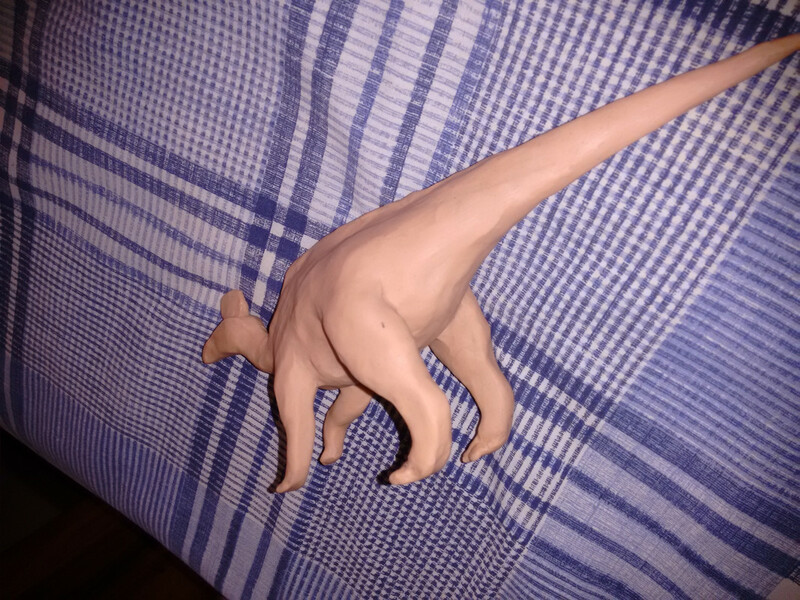 So, some months ago I started a sculpt, nothing too serious, just for fun on a boring afternoon, it was a Corythosaurus initially. The material I used was soft and I tried various methods to harden it with no result, so I changed materials and ended using some sort of air drying mass I don't know how to call actually. My boyfriend offered to try to texture it while I was working and he forgot that the thing dries very fast so it's partially textured. So with the story time ended, here's the final result, my beloved ugly child! I might change the eye color since it's very similar to the body, or try to do some pattern around them, and the color doesn't look that bright irl hehe. Cool Brachylo! Nice to see members flexing their artistic muscles. 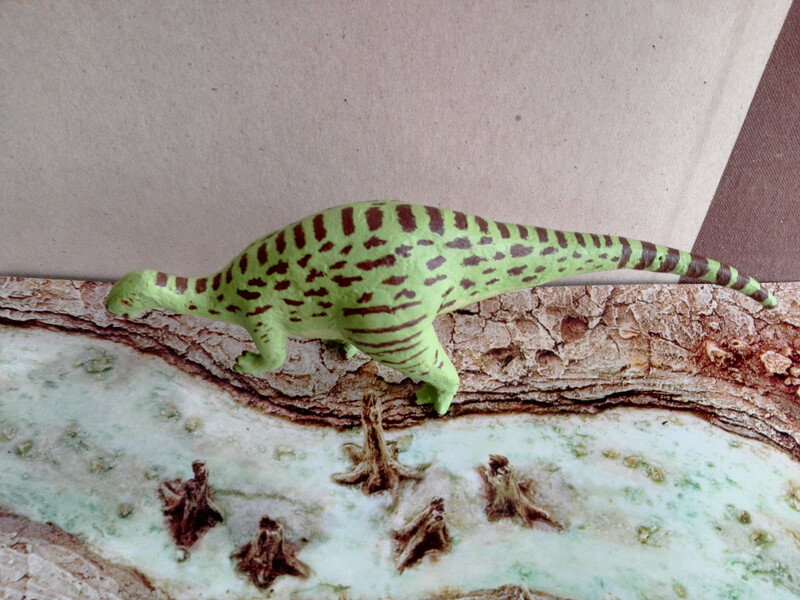 Looking at that skeletal of Lambeosaurus... when did the crest shape change? It used to have a point sticking off the back. Thanks BlueKrono! I think that one of the Lambeo's species had the point and the other no. If I'm not wrong L. lambei had it, and L. magnicristatus didn't. Keep up the good work! Sorry to hear about the mishaps. 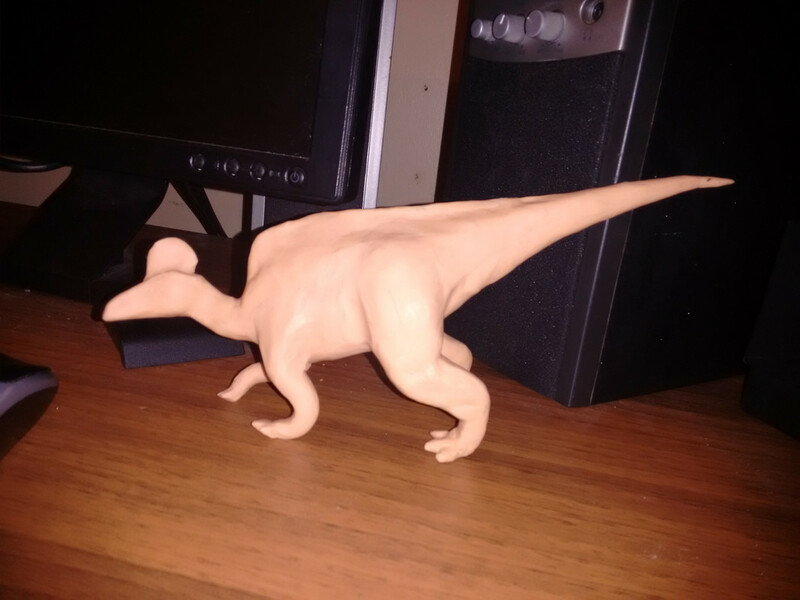 My first sculpture was Palaeospheniscus when I was 15. My parents moved all my things to a different room while I was out of town for a cousin's wedding, and I hadn't baked it yet, so it got squished in the move. Thanks! I'm sorry for the Palaeospheniscus premature demise. Hi! 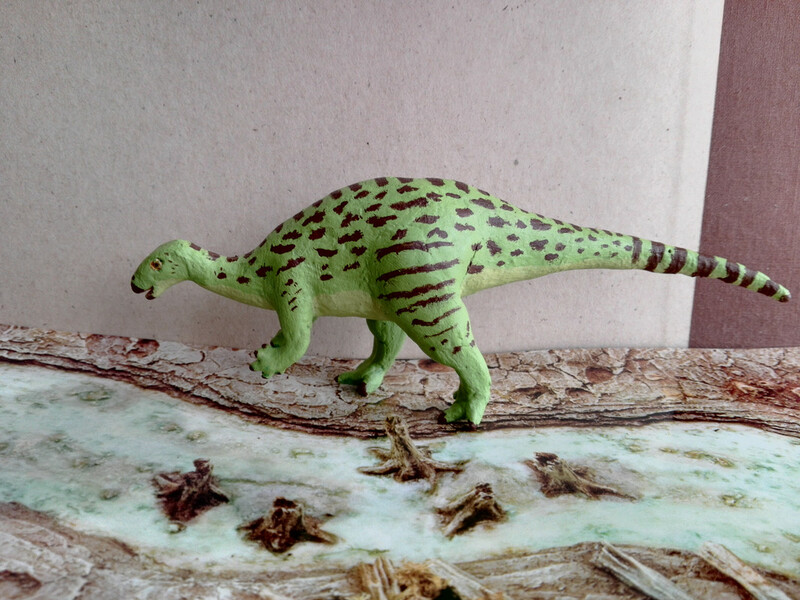 I want to show you a little dinosaur I made this weekend. 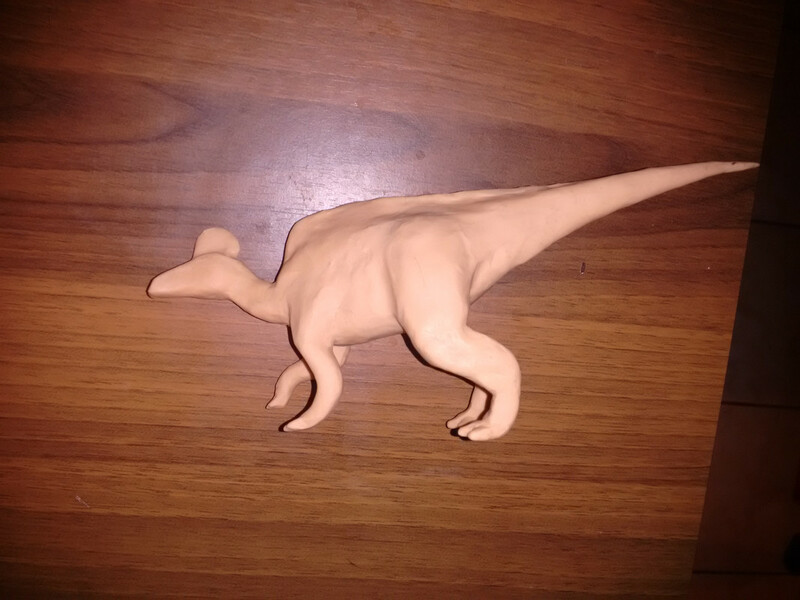 It's a Camptosaurus...(or it's supposed to be one) made with the little clya left over from the previous one and some play doh like clay. Since the play doh like clay doesn't harden my mom told me to coat it in white glue and it made it hard enough to be manipulated without deforming it, the bad side of this was that the texture I made on the skin was erased and the really thin fingers clumped together when coating it in glue so it's hands (the left one mostly) looks like they have mittens. 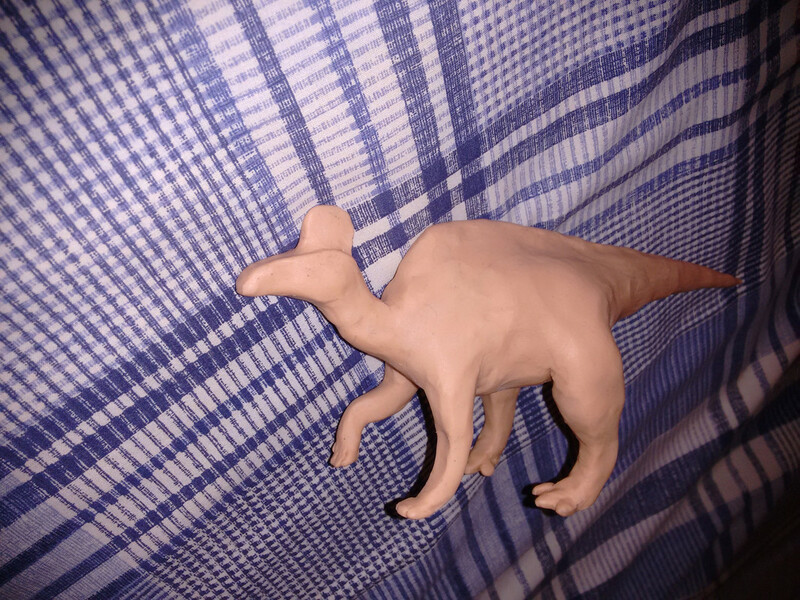 The other clay was used on the hindlimbs so it can stay on them nicely. 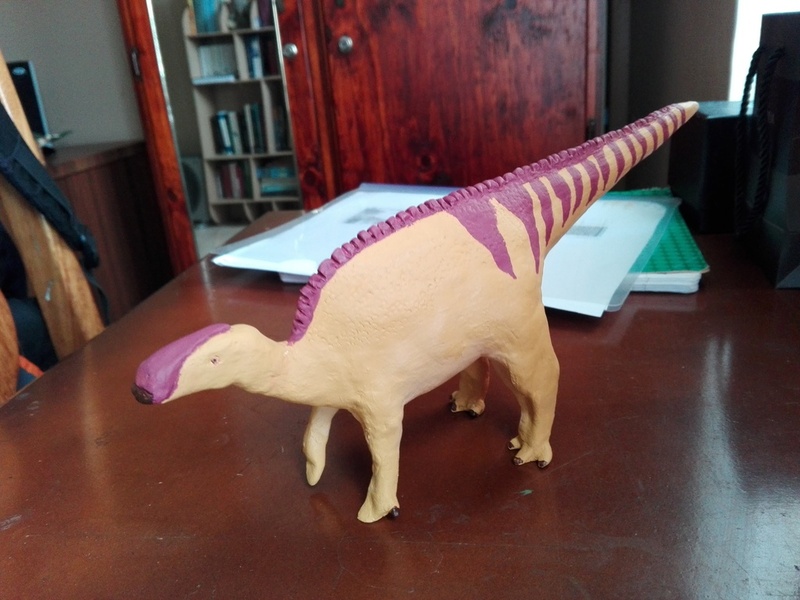 I need too improve the paintjob surrounding its eyes and see if I can differentiate the finges without breaking its whole hands but I wanted to show it to you! 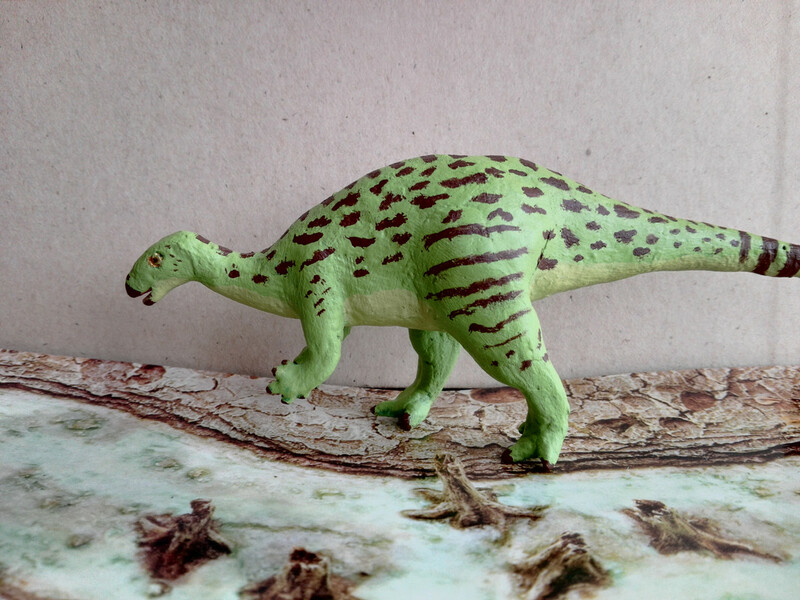 Wow, that Camptosaurus is amazing! It is probably one of my favorite sculptures out there! 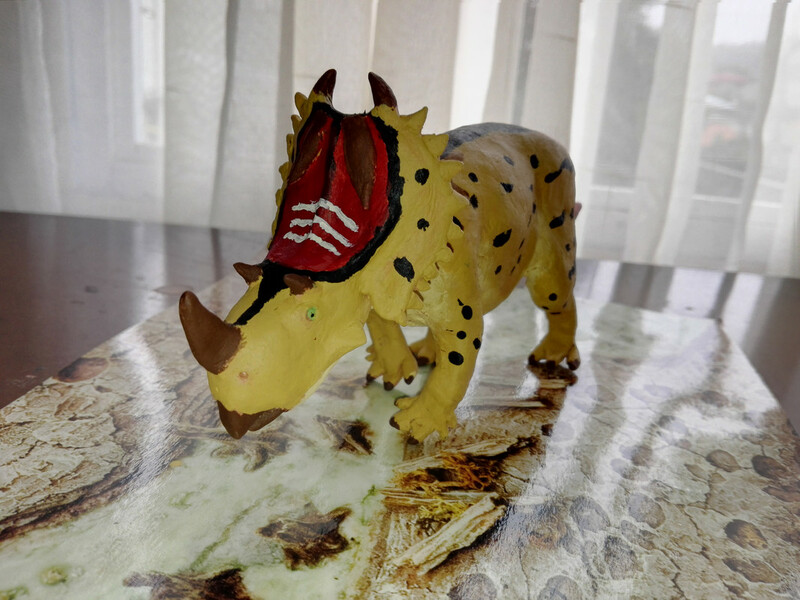 It's Centrosaurus, I think the frill might be a bit large, but I noticed until it was attached because I made it separately, I like it still, I need to do some work on the paintjob aroud the downward horns and the lines, well my pulse is very shaky since childhood when I had a weird reaction to a medicine so that was the best I could do after several tries. 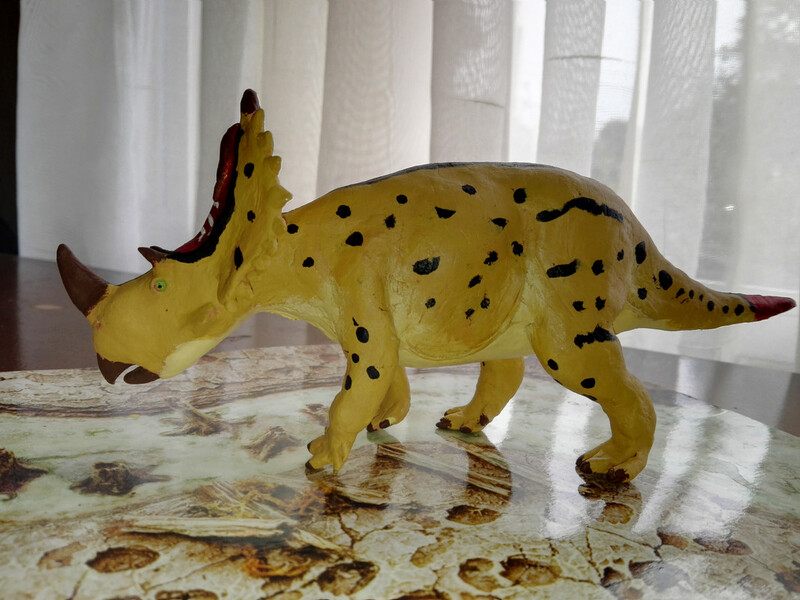 It's about as long as the Favorite Co. Styracosaurus.